Just recently, we heard about the “I’m Getting Arrested App“, which can help people who are getting arrested inform relevant people of their situation. While it is not meant solely for those actively involved in the Occupy Movement, it is definitely one of the more popular applications. Early this week, the White House made an announcement along similar lines. No, it’s not about the Occupy Movement, but about apps that have the potential to be of very good use. The apps are the result of a technology challenge issued by the White House, which called on software innovators to come up with apps that can be used to battle sexual abuse and dating violence. The results of the Apps Against Abuse Technology Challenge are finally out, with two winners. The first place winner of the Apps Against Abuse Technology Challenge is called Circle of 6. While it sounds very much like a stage in a reality TV series, the app has huge potential. To use it, one basically has to create a circle of supporters, who are to be advised in case you find yourself in trouble. 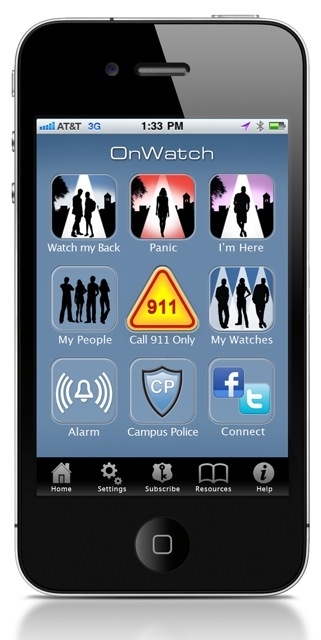 With two clicks, you can get the word out about your situation and even have the GPS identify your location. This app is still in the development phase and only currently works with the iPhone, but the developers promise to get it working with other platforms as well. The second place winner is OnWatch, which functions in a similar way. The iPhone app also requires two touches to inform your support network of your situation. You can do so via phone call, email, text, and even your social network. Additionally, you can set timers which will send messages and GPS information if things don’t go according to your plan. Even better, the app can automatically put you through sexual assault, dating violence and domestic abuse hotlines. This feature can come in very handy, especially since when emergencies do happen, you may not have the luxury of getting your phone out and pressing the necessary buttons. For more information about the apps and their features, check out the announcement at The White House Blog.